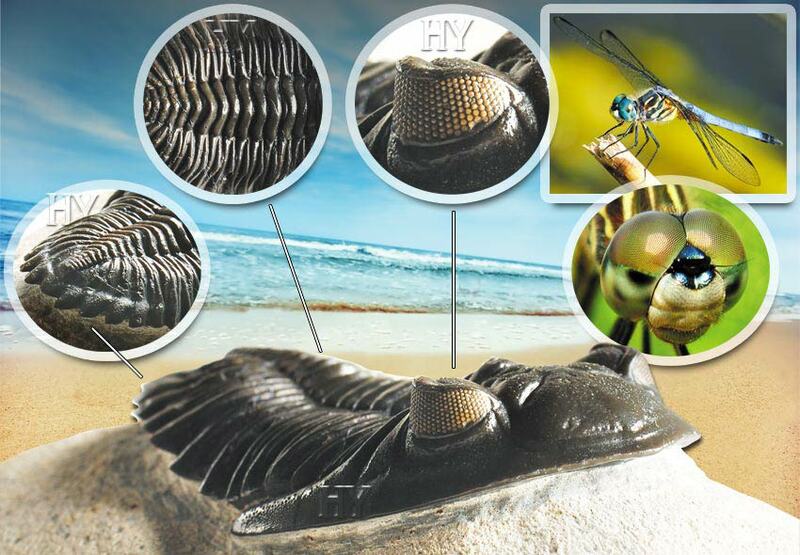 Many of the organs that appeared in Cambrian life forms, such as eyes, antennae, limbs, mouth and gut are all complex systems that exhibit a number of basic features. A complex system arises from a large number of smaller components that are all interrelated to one another. At the same time, this system is in a constant exchange and interface with surrounding structures. It is not enough for a single component to be operating in order for the complex system to function. All of its components need to work together at the same time, in harmony, and in a flawless manner. Research in various regions of the world has revealed the different characteristics of all life forms from the Cambrian Period. These life forms have heads, bodies and digestive systems consisting of various complex components. Some have dozens of feet. Some have shells, some have antennae and others have gills. In short, every feature possessed by living things today, and more, existed together with all their complex structures in the oceans of the Cambrian Period. The eye is an example of one such complex structure, consisting of a large number of components, each of which is linked to other equally complex structures. Individually, the substructures of the eye cannot make vision possible. In order for the eye to see, all the components have to perform their own individual functions together, and flawlessly. The complexity encapsulated within any single eye manifests itself similarly in a single cell of a living thing, or even at the fundamental level of a single protein within that cell. 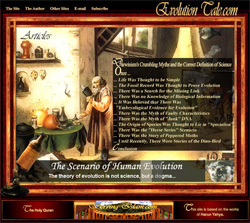 This interrelated sophistication is the greatest obstacle facing the Darwinist claim of “small, random changes” as an explanation for the development of species. As we know, random effects are almost always destructive. Any random mutation affecting a complex system will cause the collapse of that system, even if it affects only one of its components. Therefore, a mutation in the optic nerve will cause blindness in the eye. Excessive current—as in a power surge—will cause damage to a radio. No one can imagine that a power surge could turn that radio into a television. Therefore, any random effect impacting on the eye, a structure far more complex than any radio, will inevitably damage it. With their complex structures, the Cambrian Period life forms we shall be looking at in this chapter expose the invalidity of the claims of evolution and show that these life forms were created. According to evolutionary claims, the Cambrian Period is very early for the high level of biological complexity it exhibits. 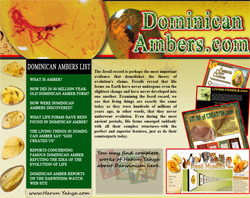 Darwinists claim that the complex structures possessed by living things are acquired gradually, over long periods of time. Therefore, species must have possessed rudimentary, primitive characteristics at the start of their supposed evolutionary histories and acquired more complex features only at the end of a very lengthy evolutionary process. In fact, however, the history of life presents the exact opposite picture. 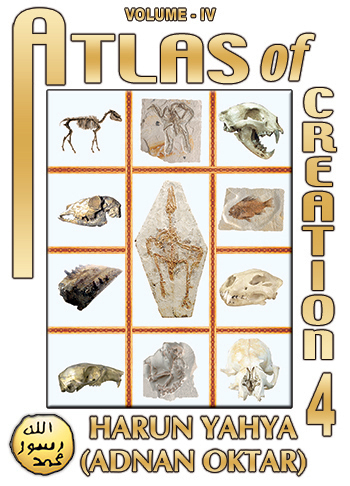 The first creatures shared the same basic body structures as those living today; and the same complex organs such as eyes, antennae, limbs, mouths and guts. Therefore, complexity is a characteristic that came “in the first moment” in the history of life, rather than late. It has been in existence since they first appeared. This, no doubt, is a great impasse for evolutionists. 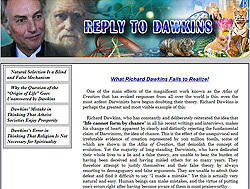 The evolutionist researchers Marshall Kay and Edwin H. Colbert state that this state of affairs is an insoluble dilemma for Darwinists: “The introduction of a variety of organisms in the early Cambrian, including such complex forms of the arthropods as the trilobites,is surprising..
By hiding behind the concept of a “puzzle,” these evolutionist researchers are trying to gloss over the fact that all these complex systems emerged suddenly, hundreds of millions of years ago—a fact that by itself is enough to completely repudiate Darwinism. To show why this early complexity has such a devastating effect on Darwinism, it will be useful to examine the trilobite and the perfect and highly sophisticated structure of its eye. This fossil trilobite, dating back to the Devonian Period, 417 to 354 million years ago, was found in Morocco. The amazing architecture of the eye has been preserved in all its detail. 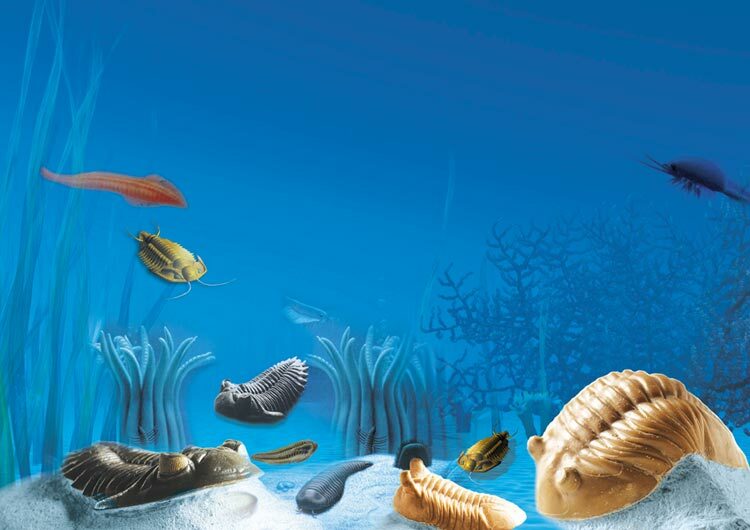 One characteristic of Cambrian fossils is that they’ve been so very well preserved. During fossilization under normal conditions, the hard part of the outer shells, consisting of chitin and calcium, should be decayed or dispersed. Yet in the great majority of specimens collected from Cambrian rocks, the exoskeletons maintain nearly all their original forms, and their owners’ main internal systems can also be seen. Each wide, hemispherical eye may had hundreds or even thousands of lenses, each of which perceived an image from a different direction. Some faced straight forwards, others to the side, and some even faced backward. Each lens focused on an area determined for it. The trilobite was thus able to perceive danger approaching from any direction, and also possessed a great advantage when hunting. 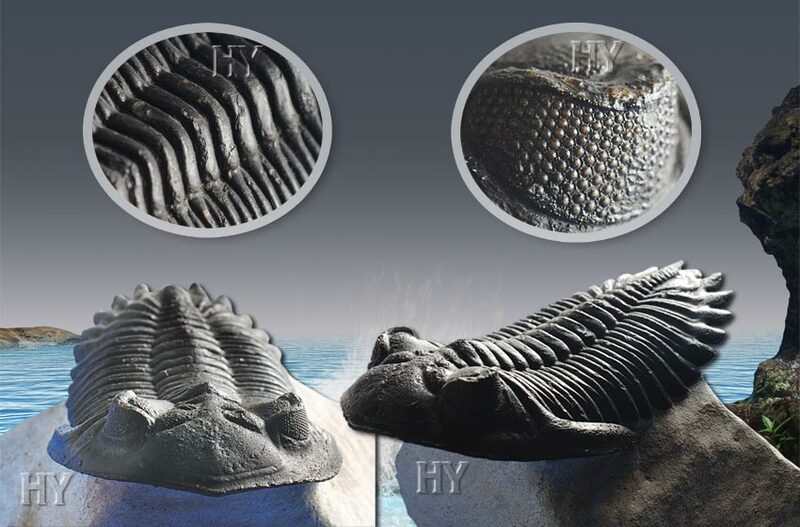 This fossil trilobiteis 480 million years old and dates back to the Ordovician Period. It was unearthed in Russia. 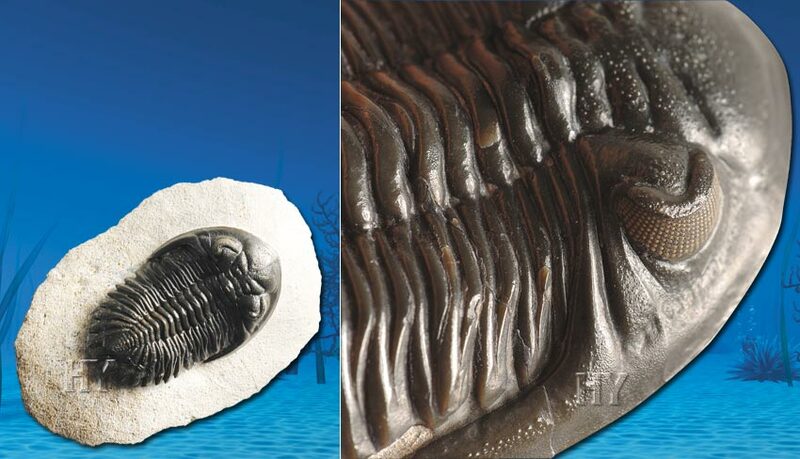 The antennae on the upper part of the trilobite’s head are thought to both serve as a nose or olfactory organ and also enabled the animal to perceive what was going on around it. 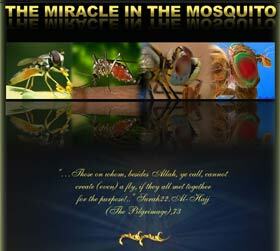 The way that all a living thing’s characteristics remain preserved in stone is a great miracle worked by Allah. A living thing that should decay and become part of the surrounding soil after it dies can sometimes leave behind all its details, from the suckers it possesses to its digestive system, and sometimes even its nerve endings. 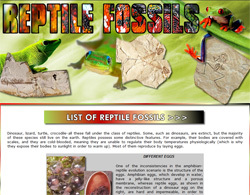 In this way, the evidence of its existence is exhibited in rock dating back millions of years. Allah's glorious creation and amazing artistry are there for all to see, in the manner that Allah chooses, despite the passage of millions of years. One of the greatest proofs of this immaculate artistry is that of the Precambrian life forms. Another reason for concentrating on these life forms is to enable evolutionists, who are astonished by the way Precambrian life forms appeared approximately 500 million years ago, to see the true facts and to enlighten people who blindly believe in evolution. 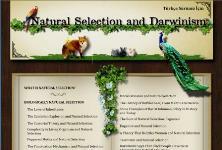 The scientific evidence clearly shows that no process of evolution ever took place in the course of natural history. All life forms appeared in one moment, with no evolutionary forebearers, and came into being possessing all of their complex characteristics; in other words, they were created. 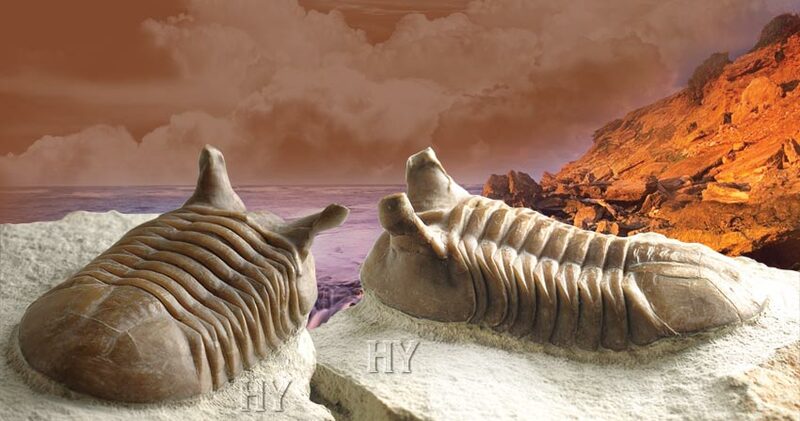 The trilobite was a flawless life form with exceedingly complex characteristics that lived in the Cambrian Period. It was able to see the world of that time through perfect eyes, and it spread across the world with its perfect architecture. The eyes, one of any living things’ most complex organs, appeared at once with no supposed “primitive form” behind it. The perfect eyes possessed by this life form had no evolutionary origins, because its perfect eyes never evolved. All these perfections possessed by the trilobite, all its complex structures, its amazing eyes and the colors we cannot currently see, were all created 530 million years ago. 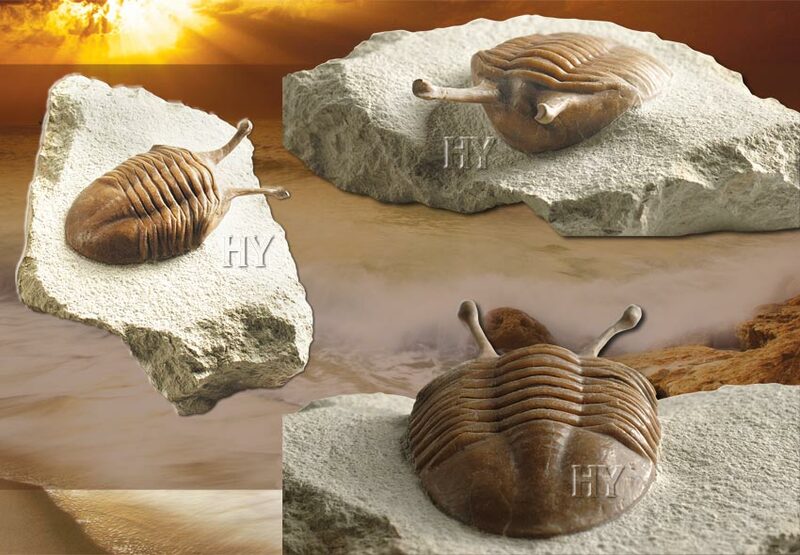 It is Allah Who created trilobites from nothing, Who fully knows the features they possessed, how they lived and how they saw. The organisms that appear in Cambrian strata, and the research into them, clearly and definitely reveal that no process of evolution ever took place. 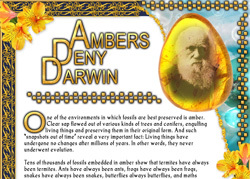 This fact has led to terrible panic among all evolutionists, Darwin included, and obliged them to review all the claims they had made so far. 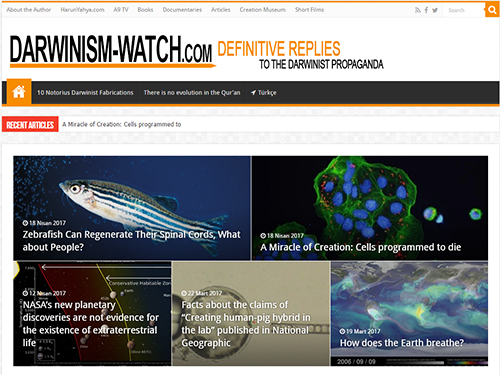 Some Darwinists who hadn’t expected this sudden appearance in the Cambrian Period began to doubt the very theory they had advocated. However, others stepped up their endeavors to keep alive the theory, which had been definitively repudiated by the evidence. As the result of this, they produced highly exaggerated and nonsensical theories, totally inconsistent and all very different from one another, based on no scientific evidence, and wholly incompatible with logic and reason. Their objective was to try to introduce some factor of evolution into the Cambrian explosion, which they had ignored for many years but which the overwhelming weight of the evidence had finally forced them to accept. All the scientific evidence shows that the first living things to appear on Earth did not develop through evolution, and that new species did not develop by their turning into another species. Cambrian life forms appeared on the stage of history with no supposed primitive forebear behind them. 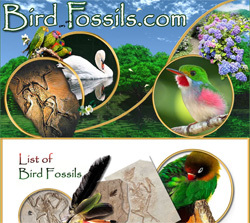 Evolutionists have been unable to produce “one single piece of evidence” from the fossil record, which should represent the most important source of evidence and greatest witness for the supposed “process of evolution” they have been talking about for the last 150 years. 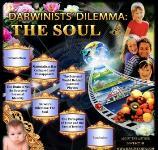 Not one of the mechanisms proposed by the theory of evolution has been seen to bring about evolution. 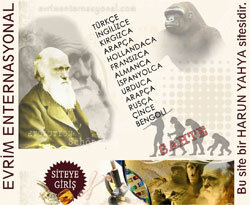 No branch of science supports the theory of evolution in any way. On the contrary, they constantly produce new evidence to refute it. Cambrian life forms from 530 million years ago, in which some 50 phyla containing all the basic structures of the animal world were alive, have radically undermined the theory of evolution. 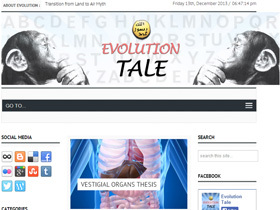 Evolutionists are still trying to recover from this surprise and to gloss over this extraordinary phenomenon. Yet the Cambrian explosion remains a fact, in the face of which evolution has melted away. Darwinism will appear as whimsical to future generations as the stories about the Earth resting on the back of a giant turtle that people in past centuries believed in so passionately. People will fail to understand how Nobel Prize-winning professors, members of academic staffs and societies came to believe in such a farce and lined up wholeheartedly behind such nonsense. 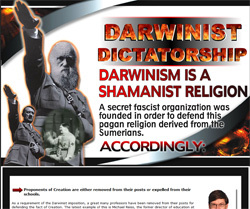 The 20th century will go down as a century of shame for all Darwinist scientific circles.